See below for our latest articles from the Noah's Dogs blog. Quality advice for dog owners and everyone who simply just loves dogs! As a dog owner it is your responsibility to ensure your dog is not left for long periods without exercise. If you cannot provide the exercise he / she needs you should consider employing a Dog Walker. It is important to train your dog from a young age if possible - but it is never too late to start or refresh your dog’s training. A Dog Sitter will go to your home and look after your house and dog when you are gone. This is a good option if you do not want to leave your home unattended or have more than one dog. It is important to choose someone who you trust will groom and care for your dog to the highest standard. Grooming will remove excess hair, as well as dirt from your pet's coat. It can be traumatic to make decisions after the shock of a death, so try to plan ahead. If you have warning of your dog’s imminent death discuss your options with you vet. 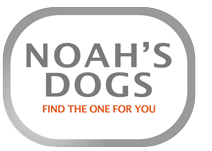 If you are thinking of owning a dog , Noah’s dogs gives you advice on how to choose the most suitable dog for you, where to find the puppy or rescue dog without using pet shops or puppy farms. Once you own a dog you may need a support network of services from dog walkers , dog boarders and trainers. We advise on the key questions to ask. Are you ready to get a dog? This channel has all you need to know to prepare for dog ownership. » Are you ready to get a dog? There are many breeds out there and it's important to find the right one for you. Ensure you're well educated in your pick. » Which Breed is Right for You? Articles helping you with various aspects of dog ownership. Help and advice on how to go about finding your dog.